After a year of construction and two months of trial run, Mui Dinh wind power farm of Ninh Thuan province on April 10 has officially been been synchronized with the national power system. The Mui Dinh wind power farm was invested by Germany’s Eab New Energy GmbH with the total investment of over VND1,472 billion (US$63.29 million). The first phase of the project is designed to have a capacity of 37.6MW. Chairman of EAB Newenergy GmbH, Klaus Dieter Lietzmann said that the plant’s construction began in August 2016. It is comprised of 16 E-103 wind turbines – one of the most modern produced by ENERCON GmbH. 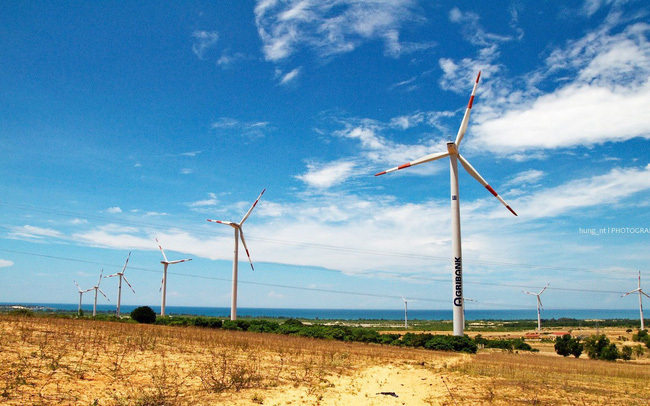 This is the second wind power plant of the total 12 wind power plants to be put into operation in Ninh Thuan, contributing to promoting local socio-economic development and turning Ninh Thuan into a national centre of renewable energy pursuant to the Government Resolution 115. Ninh Thuan has witnessed the construction of 18 solar and three wind power projects since 2018. Nine power projects are expected to be inaugurated this month with a total capacity of over 600MW.